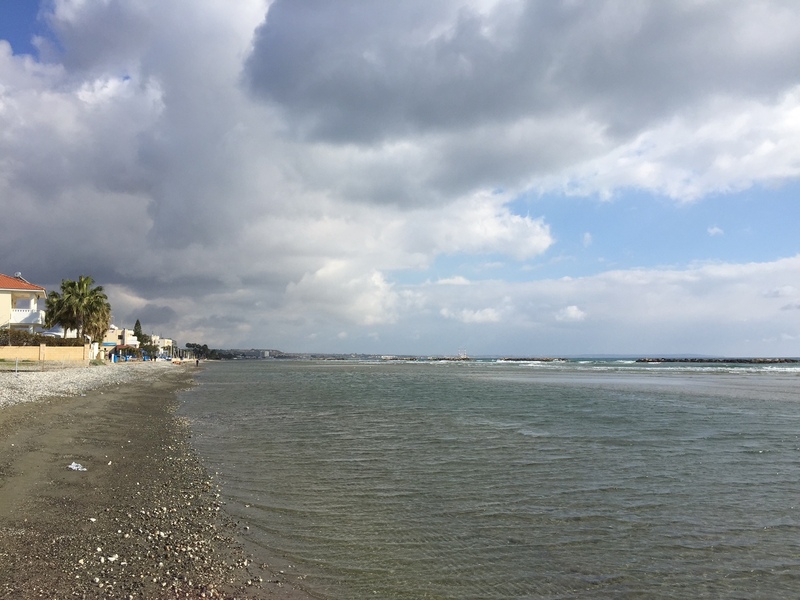 A fulfilling stroll along Larnaca’s new coastal Promenade, 31 Jan.
Larnaca never looked bigger than now, with its long awaited coastal Promenade complete, linking Makenzy on the west with Phinikoudes on the east. 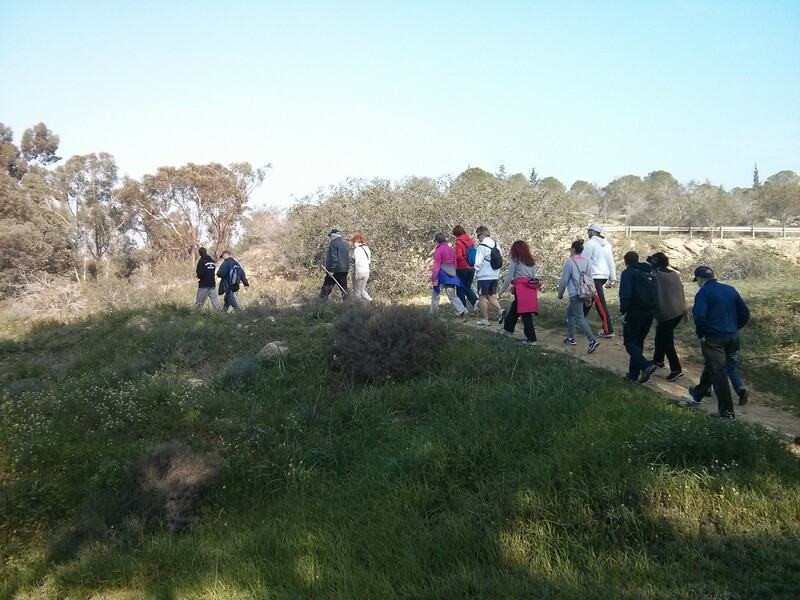 The Cyprus Strollers walk of 31 January was a fulfilling experience, in mild winter weather conditions, and included a visit to the 9th century church of Saint Lazarus and refreshments at Cafe Nero to wrap up the pleasant experience. No, the red carpet was not laid out for the Strollers. See you all on 8 Feb. at Troodos. Change of Venue for Saturday 31 January! The Cyprus Strollers announce a change of plan. 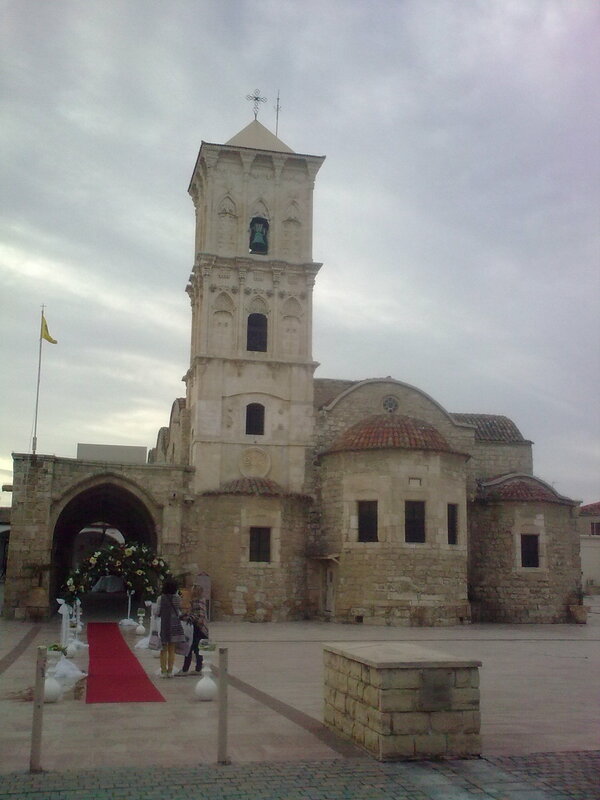 The Saturday 31 January excursion will take place at Larnaca and involves an afternoon stroll from Makenzy to Phinikoudes and back, all along the coast. Times and other details apply as announced for 8 Feb. in “Activities Description”. 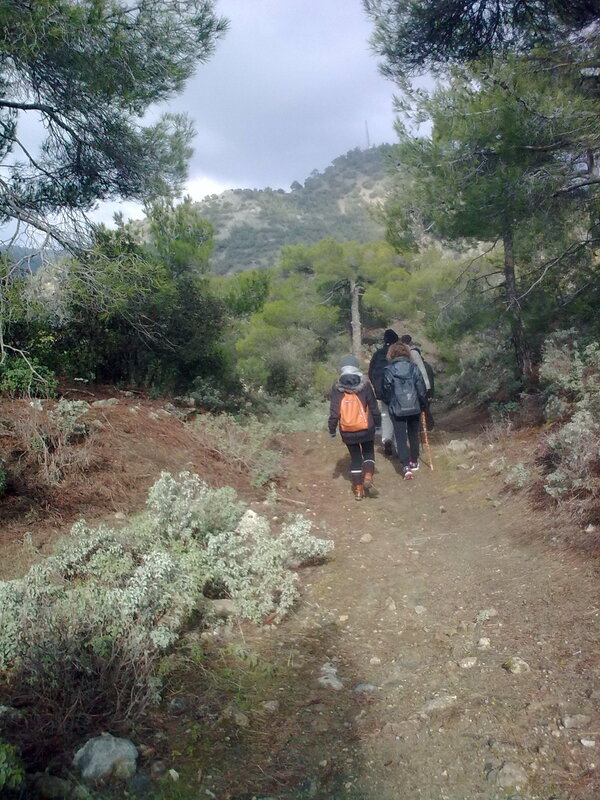 The scheduled outing to Troodos is moved to 8 Feb. In other words, we are swapping between the 31 Jan. and 8 Feb. activities. The weather at time of writing calls for a windy but most probably dry day in Larnaca on 31 Jan. By contrast, there has been snowfall on Troodos on Friday morning; consequently all roads to Troodos require snow chains; more snow is forecast for tomorrow morning. See you at Larnaca on 31 Jan. and let us hope for milder weather conditions on Troodos for 8 Feb. The same times and other details for Artemis, Troodos will apply on 8 Feb., as published for 31 Jan. in “Activities Description”. 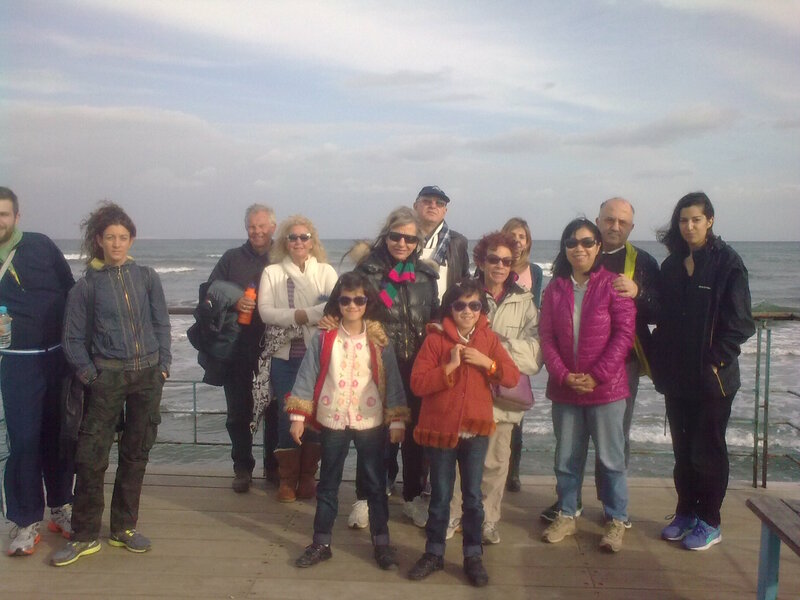 A Splendid Stroll in Athalassa, 25 Jan.
A large group of Strollers, from 5 different nationalities, walked in Athalassa park on Sunday 25 January, in splendid weather conditions, enjoying the natural pond, the birds and the anemones in bloom. Compliments to Andriani for the photos. We Thank God for a Marvelous Hike at Doxa si o Theos, 17 Jan.
A wonderful group of Cyprus Strollers, made up of 4 nationalities, defied the weather forecast (which was announcing a 50% probability for rain), and hiked on Madari mountain on 17 January. We set off at Doxa si o Theos (which literally translates to Thank God), passed Moutti tis Horas and reached Selladi Karamanli. Throughout the 3 1/2 hours hike the trail was clear of snow, and the sky was part sunny, part cloudy, without a drop of rain. Lunch at Kyperia taverna in Kyperounda was the climax we deserved, at the end. Compliments to Andriani for the photos. 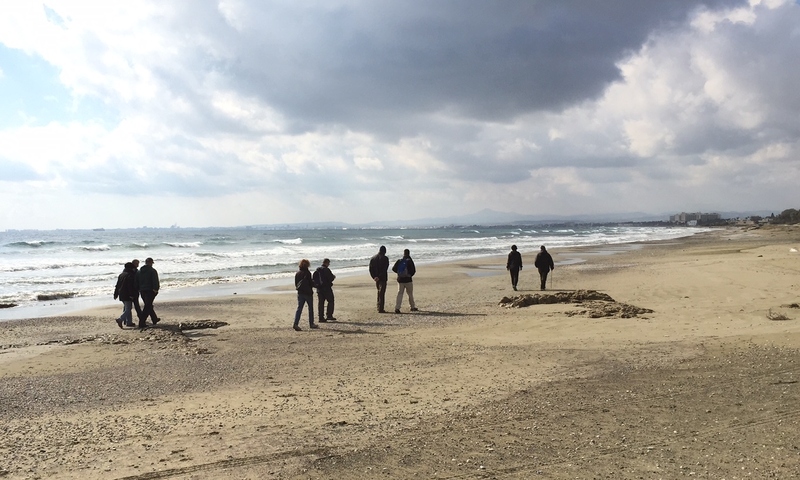 2015 Season set-off at an Idyllic Setting, 11 Jan.
We kicked-off the New Year program on 11 January, walking all along the Larnaca coastline, from Oroklini to Dhekelia. The setting was idyllic: the sea was quite calm, the wind modest, there was not a drop of rain, and the sky was sunny and cloudy. Compliments to Amanda for the photos. Let’s hike along the Oroklini coastline, in Larnaca, Sunday 11 Jan.
All Strollers are invited to a spectacular hike along the Oroklini coastline, in Larnaca, on Sunday 11 January. Read and print the full instructions here https://cyprus-strollers.org/activities-description/larnaca-oroklini-dhekelia-coastline-walk-saturday-31-jan/. 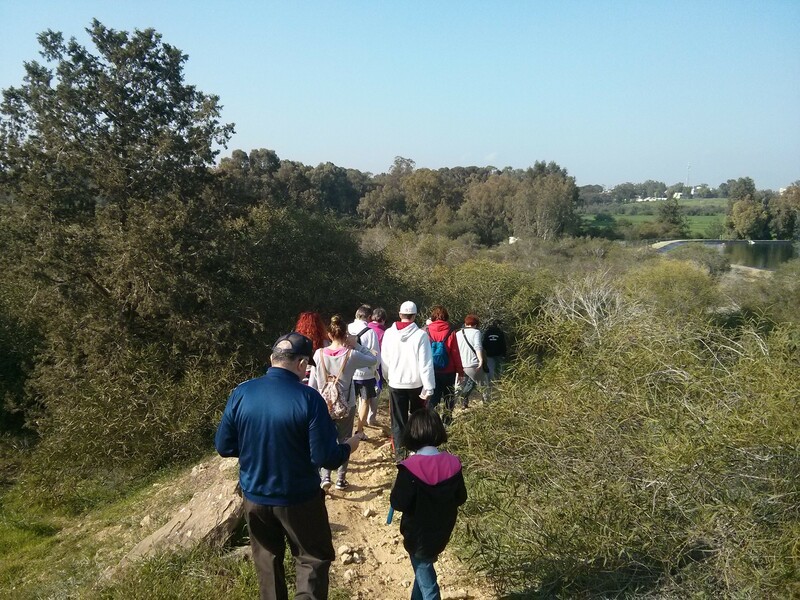 Note that the 11 January walk will follow the exact instructions and plan as posted for the 31 January excursion. Here is a summary: “The entire walk is along the coastline. The path is linear, just over 2 hours long and is on totally flat ground. 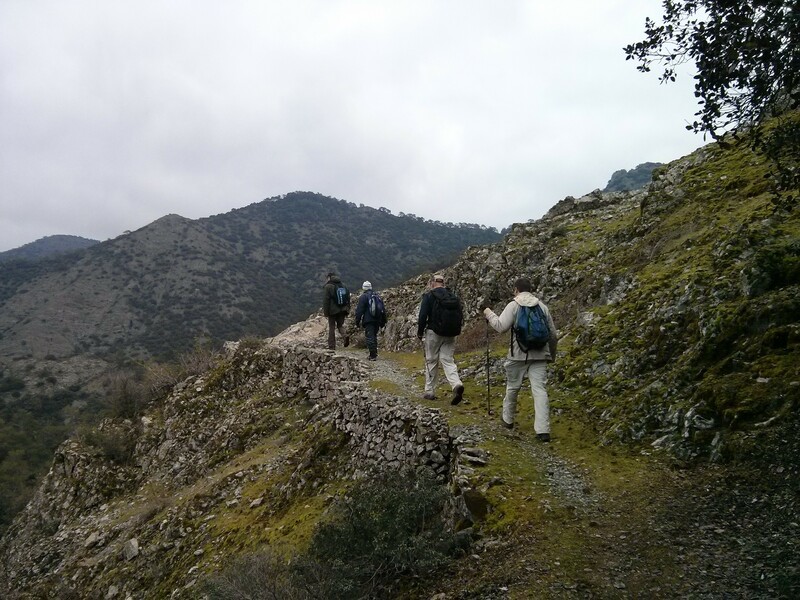 We set off at Oroklini, reach Dhekelia and then walk back along the same path. 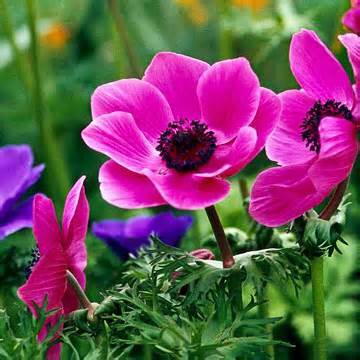 We shall walk on a variety of surfaces, including sand, pebbles, wood, cement and soil. The walk starts at 11:15 am. The car trip in Nicosia starts at 10:15 am. Xenophon is leading this walk, which will go ahead even in light rain. You are strongly advised to carry a wind jacket. After the walk we shall sit down at one of the seafood tavernas on the sea front, a few minutes away from the walk finish, for a rewarding meal.” Please confirm your participation. The weather forecast for Oroklini is dry, with a mixture of cloudy and sunny. The Troodos hike, scheduled for 11 Jan. is postponed, because even though the forecast for Sunday is ‘sunny, no rain, no snowfall’, access roads to Troodos continue to be dangerous, requiring snow chains and the path is snow covered. The Cyprus Strollers enter 2015 with lots of enthusiasm. Check the Activities Schedule, and print your copy. There are 20 outings scheduled for the season starting 11 January and ending 31 May, offering plenty of choice, with hikes of a variety of distance, duration and degree of difficulty, to suit every taste! Troodos, the venue of our hike of 11 January is presently out of the reach of traffic and experiencing snowfalls. Consequently, we stay alert, and will monitor the situation as we get nearer. An international weather forecast predicts some snowfalls for Saturday and Sunday. If this forecast remains, and access roads stay closed, then we shall go ahead with an alternative venue. Plan B calls for walking the Oroklini – Dhekelia coastline, scheduled for 31 January, if we cannot walk Artemis on 11 January. Full description for each can be found and printed in the Activities Description section.